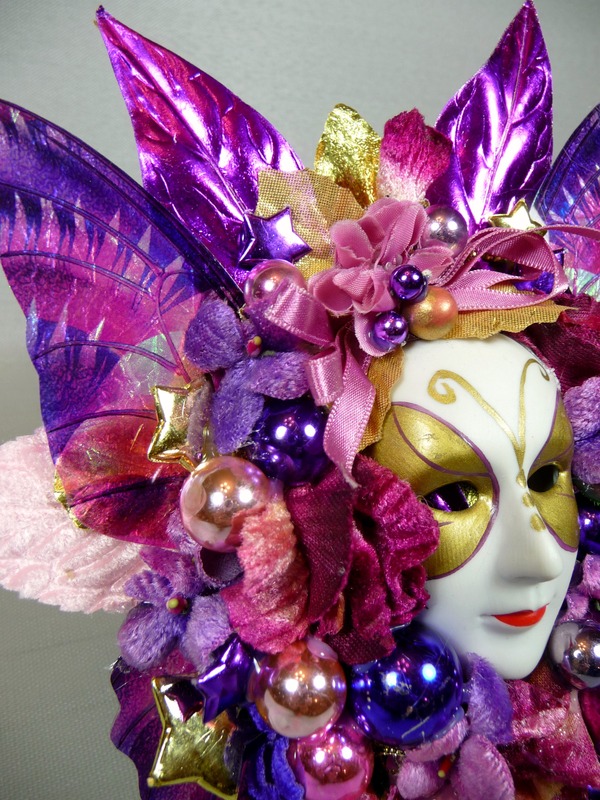 Visit my Etsy Shop now and get 25% off all Valentine and Mardi Gras items now through February! The Christmas season was a busy one for me. 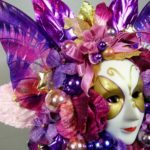 There really hasn’t been much of a break either because Valentine’s Day, Mardi Gras, St. Patrick’s Day, and Easter are all clumped up together this year! 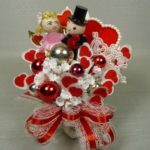 I love to make corsages for all types of holidays- so I am busy putting things together now. 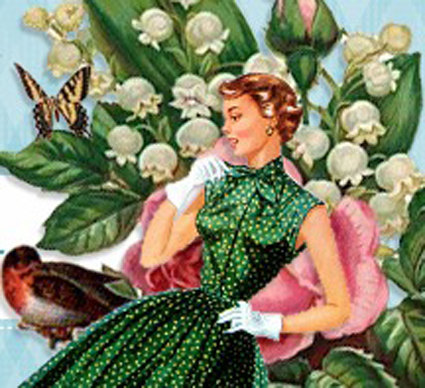 Welcome to my new Vintage Corsage blog! Welcome to my new blog! This is something I’ve wanted to do for a long time, and I hope it’s an interactive place where everyone who appreciates vintage corsages and millinery flowers can come together and talk about the things we love the most! I have loved vintage millinery flowers for years, and became attracted to vintage hats. Though I still adore them, they take much more room than I currently have the space to provide. Additionally, I wanted to “make something” with the flowers, but hat making is beyond my skill set. 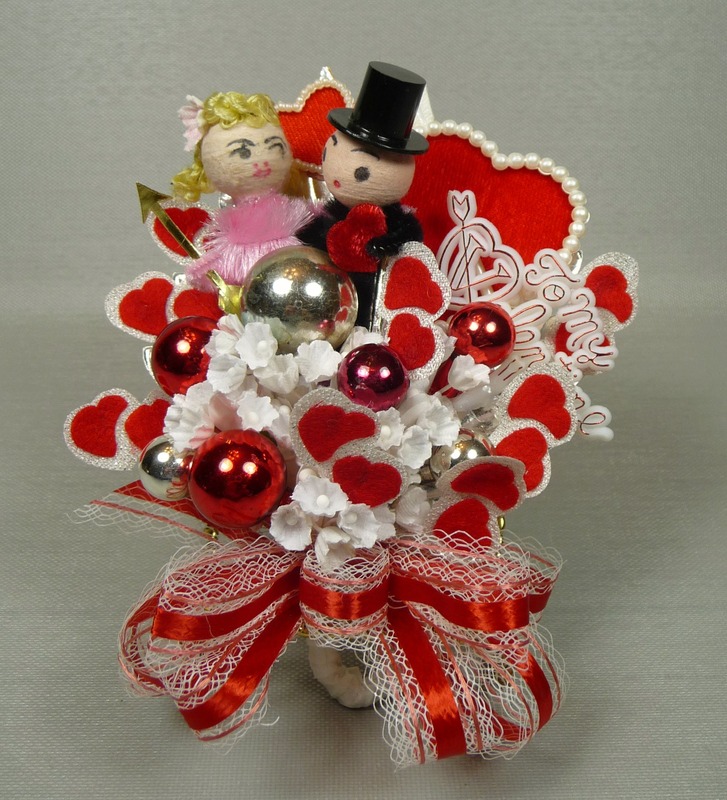 I was charmed to learn of the history of corsages, and how different flowers implied a variety of messages. I also love kitschy little Christmas trinkets and trims – the type that were used in dime store holiday corsages prior to the mid-1960s. I wore them as a child and was quite proud of myself. Wearing a corsage made me feel special and that the day was an important one. Nostalgia and vintage beauty are combined in the corsages that I make. As I work, I can feel the pleasure each item brought when it was originally made, and I can resurrect that joy once again in a new creation. I really feel like my corsages are “recycled good vibes.” They are made with components that were “held over” and not tossed away. Someone long ago thought they were special and each item was preserved for its beauty, sentimental value, or whimsical charm. My corsages are like little collections of happy memories, and they will make you remember yours as well. Check out my current offerings by visiting my shop. While you’re here, check out my portfolio galleries. Feel free to comment too!